Miami Business Lawyer | Coral Gables, Florida Probate Litigation Attorney | Andrew J. Pascale, Esq. Andrew J. Pascale is a Partner with the Law Firm of Gary M. Singer, P.A. and represents clients needing assistance in probate, business law and real estate matters throughout Miami-Dade, Broward and Palm Beach Counties. There are countless articles and essays about the difference between a lawyer who represents clients in front of a court and one who, without preparing legal briefs or having to appear in court, "counsels" clients in a close, regular manner about a wide variety of important daily business and legal matters. Interestingly, the overwhelming majority of such articles point to no significant difference between the terms "lawyer" and "counselor." The point here for you is that I am ready to offer you the best professional assistance regardless of the situation you might find yourself in. Whether you need the advantage of hiring or engaging a lawyer to provide advice and counsel early in your endeavors, or you are discovering late in the game that a Miami business attorney's help is required, my aim is to ensure you achieve a fair outcome. I have the experience to help clients overcome serious legal challenges whether they've resulted from a sudden change in circumstance or simply from being too busy and working too hard on their goals to stop and consider the importance of legal preparation and planning. I am available to listen carefully and soundly evaluate your position no matter what stage of the legal or business planning process you may be in. I'll help you determine what's your best course of action. My experience and hard work over the past decade while serving as Partner have led to me obtaining favorable settlements and verdicts on behalf of the clients I serve. Let this experience and hard work pay off for you. I pride myself on my experience in mitigating the emotionally charged nature of many legal disputes. Getting adversarial parties to progress from the mindsets that lead to protracted disputes (and rising costs) is the goal. This goal can often times be reached through informal discussions or at mediation. But if this does not resolve the dispute, and you or your business have been sued, or if you are seeking help from the courts to enforce your legal rights, I am ready to aggressively represent your case through the courts. The firm understands that all clients want to be treated fairly without regard to the particulars of their size or standing. For example, a business that has exhausted its negotiation abilities and is facing a commercial lawsuit, whether over a small dollar amount or several million, is nevertheless involved in a serious matter that has the potential to severely disrupt its business. I treat every case with the utmost attention to produce a fair conclusion and get my client(s) back to normal as soon as possible. If you have been involved in a dispute or lawsuit in Miami, Broward or Palm Beach County, contact me, the lawyer who stands for you. My firm will assert and protect your rights. Speak with me directly at 954-303-2095 or through our online case evaluation form to schedule a free consultation. Purchasing a home is one of the most exciting and financially important decisions a person makes. 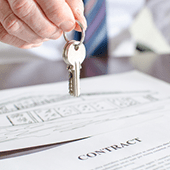 The process is governed by a written real estate Purchase and Sale Agreement entered into between the seller and the buyer at the start of the transaction. 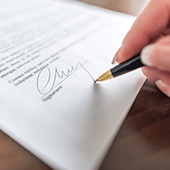 This agreement sets forth the rights, obligations and conditions of the transaction and also dictates what the buyer and seller must do and when they must do it by before the real estate closing occurs. The closing marks the event when the buyer pays the purchase price and receives the deed to the property. An experienced lawyer can alleviate the uncertainty and stress normally associated with such a transaction by getting ahead of potential issues for a client before they arise and demonstrating a thorough understanding over the critical terms and processes that govern the transaction; thus, gaining the trust and confidence of the parties and agents involved. When a deal goes south, and the transaction fails to close, the parties will blame each other. Disputes often center on whether a would-be buyer is entitled to receive back their Earnest Money Deposit or whether the would-be seller should retain the buyer’s deposit. For example, a would-be purchaser who fails to comply with the provision concerning financing by failing to use due diligence in securing a loan and failing to inform the seller in a timely manner of his/her inability to secure the financing, has not fulfilled a precondition of the sale and would not be entitled to a return of his/her deposit. Getting an experienced Miami attorney on your side before you enter into a real estate purchase and sale contract greatly helps ensure that you don't miss critical deadlines. This, in turn, creates a transaction that goes smoothly. However, if you’ve already become involved in litigation and are in need of an attorney who will go to trial for you or if you simply desire the reassurance and clarity that only a seasoned attorney can provide for you regarding the sale or purchase of your home, you should speak with me now. When two or more people co-own land and cannot agree on how to divide it among themselves, the remedy of Partition is available. In order to seek partition, the claimant must show title to the property or a right to partition. This is typically shown through a deed conveying ownership. Partition results in either the division of the land or the sale of the land, after which the proceeds are equitably divided among the co-owners. Partition disputes often center on disagreements as to how much money each party should receive. Our firm has extensive experience in representing clients in partition lawsuits and helping them recover the maximum amount of proceeds after sale. Our firm sues Robo-Callers, Text-Messengers, and Fax-Senders, under the Telephone Consumer Protection Act in order to put an end to the harassment suffered by consumers or businesses. The TCPA is a Federal Statute that protects consumers and businesses from unwanted telephone calls, text messages, and faxes made using automatic telephone dialing systems, artificial or prerecorded voice messages, and telephone facsimile machines used to send unsolicited advertisements. TCPA claims are typically filed in Federal Court as opposed to a Florida State Court and take on average about a year to resolve. 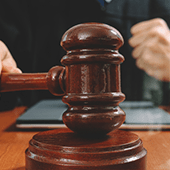 The affected parties are entitled to money damages under this act and violators of the TCPA face penalties between $500- $1500 per each violation. The TCPA is a deceptively simple act. Therefore, you should seek to hire an experienced attorney who is familiar with the ever-changing rules promulgated by the Federal Communications Commission-the body which mandates what telemarketers must do (and not do) under the TCPA. Moreover, because there has been significant litigation in recent years over the TCPA, it is important a lawyer research and truly understand the case law governing any issue(s) that will impact your claim so that you have a chance of recovering the maximum amount of damages. I am experienced in bringing TCPA claims. Let me evaluate your case today. Ideally, a debtor/creditor relationship should be an equal balance. On one hand, a creditor has a clear right to recover 100% of the debt it is owed provided it abides by the law and plays by the rules. Conversely, debtors ought to make timely payments. Sometimes, however, a creditor oversteps the legal bounds and abuses a debtor by attempting to collect on a debt that its knows is illegitimate. To make matters worse, the debtor is generally in a vulnerable position, with much less financial resources than the creditor and may wind up being bullied and paying a debt it doesn’t truly owe as a result. The creditor may become nothing more than a tormentor in the life of the debtor and the debtor may feel like a black cloud is hanging over them. Fortunately, the Florida Consumer Collection Practices Act provides an effective weapon against unfair or unscrupulous creditors. Anyone who believes that a creditor is taking unfair advantage of them should seek the advice of qualified Miami lawyer who can fully evaluate their rights and put an end to debt collection abuse. I have been routinely representing both lenders and homeowners in Foreclosure disputes for close to a decade and am superbly qualified to handle any Foreclosure dispute, having won at trial and on appeal for both lenders and homeowners. 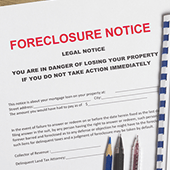 The prevalence of foreclosure and the economic conditions that cause it are likely to remain. At-risk Consumers should seek out the help of a lawyer early to develop appropriate plans. To a lender, a home is more is typically an asset. However, to a home owner, a home’s value is sentimental as well as financial. However, the laws do not consider sentiment. You should plan on how to preserve your home and assets with the help of counsel. I will help you devise plans and aggressively pursue them on your behalf to optimize results. Options may include using one or more combinations of the following actions: successfully entering into a loan modification agreement, aggressively trying the case on the merits, selling the property (short sales). Facing foreclosure is never easy. Let a trusted and reputable Miami lawyer protect your castle. A party who is awarded a final money judgment is referred to as a judgment creditor. Often times, a judgment creditor must take certain additional steps to collect what it is owed on its judgment since the judgment debtor does not usually pay off the judgment voluntarily. The process of collecting on a judgment typically begins with the judgment creditor researching the debtor’s assets to determine what assets exist and how to proceed. If the judgment creditor is unable to locate and seize the judgment debtor’s assets through the local Sheriff (generally either because the assets can’t be located or because they aren’t readily accessible), then the judgment creditor has the right to summon the debtor to before the court and question him/her under oath about the existence of any property that may be used to satisfy the judgment. This type of proceeding is referred to as a "Proceeding Supplementary" because it is in furtherance of the original proceeding that was used to obtain the judgment. Proceedings Supplementary are governed by Fla. Stat. 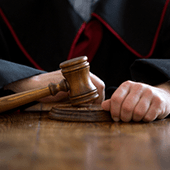 Section 56.29 which provides the framework from which the judgment creditor may pursue any number of claims against the judgment debtor in order to execute on its judgment. Most often fraudulent transfer claims are filed by the judgment creditor that allege that the judgment debtor has transferred away property in order to hinder the creditor from obtaining it. Often times, the economics and uncertainty of legitimate fraudulent transfer claims is enough to compel a judgment debtor to make good on his/her obligation to pay off the judgment or settle with the judgment creditor. The rights of Landlords and Tenants involved in residential tenancies is governed by Chapter 83, Part II, Florida Statutes. 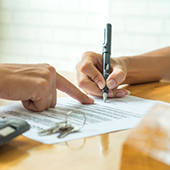 One of the most contentious areas revolves around whether a Landlord must return a Tenant's Security Deposit to him/her after the lease expires and when it can be withheld. In fact, a Landlord must return a Tenant's Security Deposit to him/her within 15 days after the Tenant vacates the premises upon termination of the lease or must provide written notice to the tenant within 30 days via Certified Mail that he intends to impose a claim on it and state the reason why. The Tenant then has 15 days after receipt of the Landlord's notice of intention to impose a claim to object or the Landlord can deduct the amount of his or her claim from the security deposit. My firm gives guidance to both established business clientele and entrepreneurs in the areas of Business Startup, Formation, and Business Planning. Legal Entity selection is an important part of the business startup and planning process. The type of business to select often turns on the specific goals and considerations of the business. A wide variety of goals and considerations may wind up being candidates to be analyzed. These can range from protection of business and personal assets, the future plans of the business, the ownership and management structure of the business, as well as other considerations. The main forms of business entities are sole proprietorships, partnerships, limited liability companies, Subchapter C Corporations, Subchapter S corporations. There is no one-size-fits-all approach to business formation. 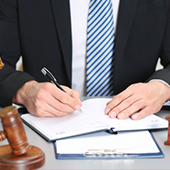 It is critical that a person consult with a Miami business lawyer to develop a plan. My firm represents clients with the Buying or Selling of their business as well as with Post Closing Disputes. We structure the transaction in a way that best protects the client and we warn the client if any part of the proposed transaction appears abnormal. Someone wishing to purchase a business should always carefully examine the books and records of the seller. This can be an extensive process depending on the size of the business and should be led by an attorney and a qualified CPA. Special attention also needs to be paid to the form of the assignment of the business, form of the contract of sale and purchase, and bill of sale. 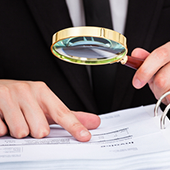 Each of these areas requires a thorough investigation and intensive information gathering so that the client has all of the information necessary to make the final decision. Buying or Selling a business? Put an experienced case-hardened attorney on your team. Let Mr. Pascale stand up for you. 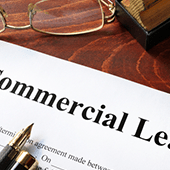 Commercial landlords and tenants have an ongoing relationship governed primarily by a lengthy Commercial Lease Agreement. It is critical that the Lease Agreement is reviewed to ensure that the parties to the lease, the rent, the length of the lease, the use of the property, provisions governing insurance requirements, repairs and maintenance, restrictions on assignments or subletting, fixtures, improvements and other terms are accurately and clearly set forth. From Kendall to Miami Beach to Coral Gables, we represent clients in commercial lease negotiations, reviews and disputes. In order to provide protection from claims of creditors and third parties, businesses and partnerships must be dissolved in strict compliance with Florida law. Dissolution of a Florida corporation may be accomplished by the voluntary act of its directors and incorporators or its directors and shareholders or, in the case of a nonprofit corporation, its members while a partnership may be dissolved through agreement of the parties or by legal action taken by one or more parties. Learn more about Business Dissolution here. Businesses and Judgment Creditors that are owed money and believe that someone has deliberately transferred away his/her assets to a third party in order to try and hinder, delay or prevent them from legally obtainingmoney owed to them should consult with an attorney to file a Fraudulent Transfer claim against the wrongdoer. Such claims are made in order to undo the transfer. Fraudulent Transfer claims are often brought after a final judgment has been entered in separate cases called "Proceedings Supplementary," and they involve proving that that the transfer was fraudulent -as the name implies. 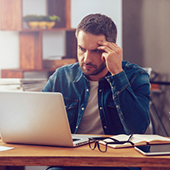 It is important to recognize what the Tell-Tale Signs of a fraudulent transfer are. I can help you develop a strategy to stop ongoing fraudulent transfers and recover what is rightly yours. A Joint Venture is a form of partnership between two or more people or companies that is used to carry out a specific purpose. 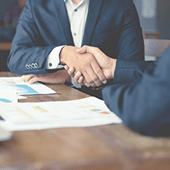 Joint Venture Agreements usually involve multiple transactions and are common among real estate and business investors who pool their resources together for the purpose of acquiring real estate or stock in a company. Although Joint Ventures are viewed as less formal than partnerships, each member still agrees to share in the profits and losses of the joint venture. The most important aspect of the joint venture relationship is that every member owes Fiduciary Duties to the others. A Joint Venturer who does not hold up his end of the bargain may be liable to the other members for damages. A well written Venture Agreement is the single most important step a business can take to emphasize and define these fiduciary responsibilities and preclude future liabilities. Business litigation is a broad term used to describe a variety of situations where a business is a party to a lawsuit. Some of these situations involve Defamation. Defamation of someone's business generally occurs when a person knowingly posts false and disparaging remarks on social media websites, in written literature about the business or its officers, or in some other public way that harms the reputation of the business by deterring people from dealing it with it, attacking its methods of doing business, assailing its management, or negatively impacting its credit-worthiness. This can result in the businesses suffering a loss of profits. It is important that a business act quickly to have the false information removed and sue to recover any monetary damages it may be owed. Learn more about Business Defamation here. Business Contracts. Fraud. 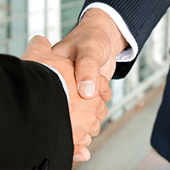 Tortious Interference with a Contract or Prospective Business Relations. Business Assets Theft. Shareholder Derivative Lawsuits. Business Disparagement Unfair Competition and Theft of Trade Secrets. Partnership Agreements and Disputes. Businesses lose valuable revenue when vendors, customers and third parties fail to pay for goods and services. Our firm helps businesses recover legitimate debts by first attempting to recover the debt through formal demand, and then filing a lawsuit if negotiations fail. Garnishment of wages, bank accounts and seizure and sale (Levy) can be used to recover the debt once a final judgment has been awarded. 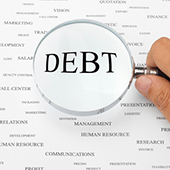 Click here to learn more about Business Debt Collection. Some employees want to start their own new business and thus follow an entrepreneurial ambition because they believe they can do a better job at offering a particular product or service than their current employer does. 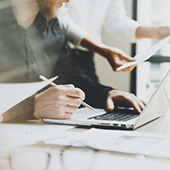 However, problems can develop when a former employee uses trade secrets, protected information or specialized training to start a competing business. An employer has the right to safeguard its business and the service or product it provides from unfair competition by a former employee. 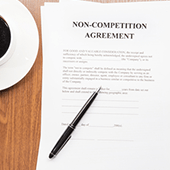 This is accomplished by entering into a Non-Compete Agreement with the employees, which prohibits key employees from competing in this above-described scenario. There is no universal non-compete agreement. As a qualified business attorney covering the Miami area, I am familiar with this risk and will take the time to carefully evaluate the unique features of a business in order to offer the most efficient protections for its owner(s). People in such relationships as corporate directors to shareholders, general partners to limited partners, managing members of limited liability companies to members, brokers to clients, trustees to beneficiaries, guardians to wards, and business partners who hold positions of trust with power over the interests of others--all owe special duties called Fiduciary Duties. The most basic duty of a fiduciary is the Duty of Loyalty, which obligates the fiduciary to put the interests of the beneficiary first, ahead of the fiduciary's self-interest, and, in so doing, to refrain from exploiting the relationship for the fiduciary's personal benefit. 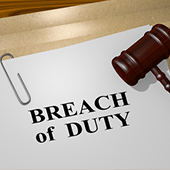 In addition to a duty of loyalty, a fiduciary also owes a Duty of Care to carry out its responsibilities in an informed and considered manner and to act as an ordinary prudent person would act in the management of his or her own affairs. A person in power who abuses his/her fiduciary duties can be responsible for the losses caused. Fiduciary relationships are not always easy to discern and the law surrounding just who exactly owes fiduciary duties to someone else in our world can be elusive. My firm--covering all of southern Florida--provides careful analysis to determine the presence of specific factors contributing to the creation of fiduciary relationships for each unique situation. 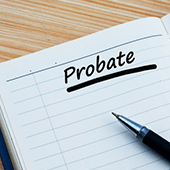 Probate is the court-supervised legal process where a decedent's assets are discovered, identified, and then legally transferred to their rightful owner. Probate is necessary because a loved ones property does not always automatically transfer to his heirs upon death. Only those assets owned by the decedent jointly as tenants by the entirety with a spouse, or with rights of survivorship with a spouse or any other person automatically pass to the surviving owner without the need for probate. On the other hand, assets that are owned solely by the decedent at the time he passes are not automatically transferred and therefore need to be probated. 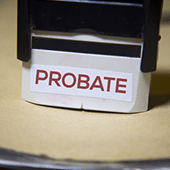 This is the main aspect of probate but there are many other statutory requirements that must be performed in probating an estate. For example, probate makes it possible for the decedent's creditors to be identified and paid. Also, if the decedent left a will, the will is required to be probated in the court, or it will be deemed ineffective as a means to pass ownership of probate assets to the decedent's beneficiaries. Our firm is knowledgeable probate lawyer who can guide you through the Probate Process. The decision whether to file probate as Formal or SummaryAdministration is based on the value of estate and what the will says, if there is one available. If an estate has assets valued at more than $75,000, then Formal administration is used. 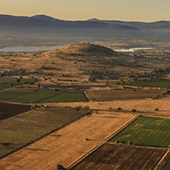 If there is no will providing otherwise, and the value of the estate is less than $75000 minus any exempt assets (for example, homestead real property in many circumstances) then Summary administration may be used. However, if more than two years have gone by since the person has passed, and no probate has been opened yet, then Summary Administration may be used regardless of the estates value. Formal Administration is more involved. For example, in Formal Administration, potential claims for creditors must be published in a newspaper in order to demonstrate responsibility to pay all just debts. Hence, creditors are given time to act and recover what is rightfully theirs. However, the process is bounded by time limits. They must file claims within three months of the date of publication or else they will lose their claims forever. This requirement does not exist in Summary Administration although it may be appropriate in some circumstances. There is also a third type of administration known as disposition of personal property without administration. This is similar to a Summary administration but there can be no real property included within the assets of the estate to use Summary Administration without administration, and the assets of the estate cannot exceed what is needed to pay for funeral and reasonable medical expenses incurred within the last 60 days. If you are currently involved in probate dispute, you should contact an experienced Miami probate attorney before your rights are lost.